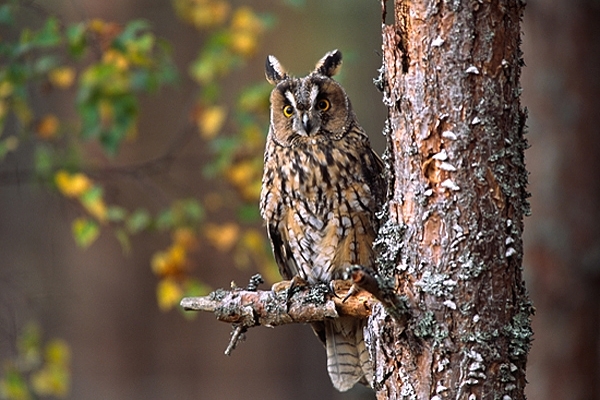 Home | Owls | Long Eared Owl on pine. Long Eared Owl on pine. Photographed at the edge of conifer woodland,in Scotland. Canon Eos1n camera,300mm lens and fuji slide film.